As of Friday, volunteers at Escambia Fire-Rescue’s Ferry Pass station are being joined by career firefighters. The action’s based on a couple of residential fires on Good Friday. No truck from Ferry Pass, the closest station, responded to either because of a shortage of volunteer firefighters. Robinson appeared at a town hall meeting after the fires, and passed along his findings to the rest of the Escambia County Commission during Thursday’s agenda review meeting. After meeting with Escambia Fire-Rescue Chief Pat Grace, County Administrator Jack Brown announced that 12 paid firefighters – four each manning three around-the-clock shifts – are now assigned to Ferry Pass. He also addressed what many consider to be a sometimes-contentious rivalry between volunteer and career firefighters. “The main thing that’s going to be, is that the career firefighters and volunteer firefighters continue to work together,” said Brown. “And make sure that, as they work through those issues, that they’re respectful of each other and continue to make is work for the residents of Escambia County.”Under a recent legal opinion from the County Attorney’s office, a mix of volunteer and paid fire personnel can serve at the same station. But first responders employed by the county -- such as EMTs -- remain banned from volunteering. 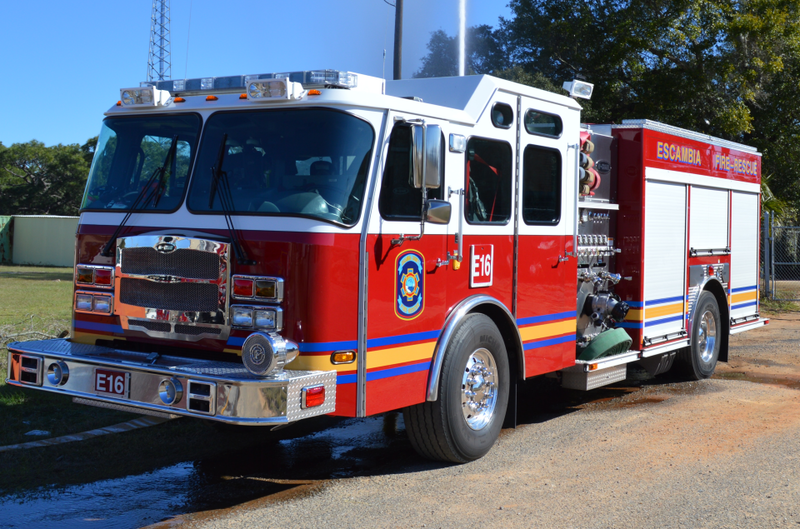 The Escambia County Commission voted in January to pay $78,000 in back taxes to settle an IRS audit of the fire services. Public Safety Director Mike Weaver says the volunteer firefighters involved are not on the hook for back taxes. “If they have been paying their taxes on their 1099 (tax form), they would have been paying anyhow the same amount of money if not greater,” said Weaver. The new policy also requires any volunteer to resign, if they are employed by the Escambia County Commission, to avoid any potential tax or overtime issues.